The People's Appraisal Blog – Reaching new heights in consumer education and information in the Real Estate Appraiser World. Where to start with this? 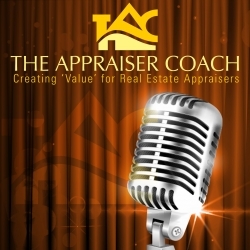 Do I have to refer you back to my past articles like “What’s Not in Your Wallet or Appraisers Outraged?” Where do we even begin…. We begin here. Another story of an Appraisal Management Company going out of business owing tons of money to appraisers for services they provided. Coester VMS that was once one of the biggest players in the game closed its doors recently. They closed them leaving appraisers with thousands of unpaid invoices for services that who knows if they will ever be paid for. As stated in previous blog posts, these amcs are acting as agents of the lenders that choose to use them. The lenders sign contracts with the AMCS to provide a service to them in order to help keep Appraiser Independence as stated in Dodd Frank legislation. So who is really responsible for payments to appraisers. The Lenders? The now out of business AMCS? Who? Who do appraisers turn to when the AMC goes out of business owing them money? Many states but not all require a surety bond in order for an AMC to do business in that state however as was the case in NC, the bond amount was only $25,000.00 and appraiser claims exceeded the amount in 4 days leaving most appraisers to be paid on a pro rated basis. So who else is responsible? Maybe you the Borrower? Do we really know? The laws are so vague it’s actually quite disturbing. So lets start with a good story. A story of a lender named Sierra Pacific out of CA that has been bombarded with requests from appraisers to pay fees owed due to the now defunct Coester VMS appraisal management company. Sierra Pacific was the lender using Coester VMS as their AMC. When Coester decided to close its doors and leave appraisers unpaid, Sierra Pacific stood tall and has since been doing the right thing. They are paying appraisers for work done for them even though Coester VMS took the money from borrowers and ran. They have stepped up to pay appraisers for fees owed to them for prior appraisals. So bravo to you Sierra Pacific. We thank you for doing the right thing. See the letter below and know that Sierra Pacific is a quality Company. So what does this all mean??? You have one lender paying appraisers due to their admission they used a deadbeat AMC to represent them and want to do what is right. Yet another flat out states they don’t care nor will they pay due to not having an agreement with the Appraiser directly. Here is the ultimate question? Who is responsible? The lender doing the loan or the AMC representing the Lender? Does it matter If the lender collects the fee for the appraisal from the borrower and passes it along to their agent to pay the appraiser or if the agent or AMC charges the borrower the fee directly? Good question. Why? Because this is the only profession and industry where there is a third party making contracts, taking payments on behalf of others, and making decisions with your bank or lender, while the actual entity that performs the service is left out. So another question? Why are AMCS taking payments directly from the borrower? What about Escrow accounts like Realtors have to use or how about the borrower pays the appraiser directly. We are in a day and age where borrowers can pay the appraiser directly via numerous avenues due to technology, Apps on devices, PayPal, credit cards or yes even cash or check. Why for the nth time do we have to have appraisers go unpaid for services due to an AMC failure? WHO MADE THESE TERRIBLE AND RIDICULOUS LAWS? You guessed it. Our government, who is indifferent to small businesses, the backbone of the economy but they sure will support the banks and lenders. It’s time for a change. It’s time to have lenders pay AMCS separately from the appraiser . Its time for TRANSPARENCY and ACCOUNTABILITY! It’s time for appraisers to be paid fairly, rightfully and on time. It’s time to change the poor laws. It feels good to be back. Thanks for all for waiting. For those who aren’t familiar with what an AMC is, its short for Appraisal Management Company. After the 2008 crash they were installed to be the order manager for the lender and ensure appraiser independence. If you’ve already read “what’s not in your wallet or round and round” go get a little more familiar before reading this. Amcs are to manage the orders. They find the appraisers to give the orders to and then through quality control are supposed to help facilitate the process so that the lender can make a lending decision. These AMCs are then the ones to pay the appraisers for work done. Over the course of the past 10 years we have seen many AMCs collect the money you pay to them to which they are to pay the appraiser they hired. Now many AMCs do a good job at paying appraisers however there are many that do not or worse, they leave appraisers in pain and suffering wondering what the hell just happened. See there were companies like Appraisal Loft, a big AMC who pocketed millions of dollars from consumers only to never pay the appraisers, close their doors and leave appraisers without compensation for their work. JVI AND ES. Companies like Newtown AMC, Maverick AMC, Nationwide AMC who did the same, made money, never paid appraisers and closed their doors but were all owned by the same guy who once again formed another AMC called Atlantic 1 who well you guessed it, isn’t paying appraisers. Valuation Concepts as well as COESTER VMS are the newest additions to this trend. Not answering calls or emails leaving appraisers without their hard earned money. Some AMCS are closing down and are trying to settle for pennies on the dollar with appraisers. This is a major concern. Hard working appraisers not getting paid for their work. I’m sure you would be upset if your company didn’t pay you. So here is theQuestion?? Where’s is your money, the money owed to appraisers going? Good question. I’m sure some of these current and former amc owners are living much better than all of us. Under Dodd frank lenders are supposed to be responsible for the third party amc they have chosen to work with. However that’s not the case. Many lenders simply say sorry, or if they do do anything many will get you some sort of compensation. However that’s not good enough. You the consumer paid for a service. You paid for the product and the person who supplied this gets 0? I’m sure you wouldn’t be ok with this. Refer back to my blog post “what’s not in your wallet.” Revisit how it used to be. I’m sure your mechanic, plumber or your lawyer isn’t doing work for free or allowing anyone else to collect it for them before they release your product. So why do independent appraisers have to abide by different rules than anyone else? Why do we have to wait 30-60-90-120-600 days to get paid and risk another company going out of business never to see our hard earned money? Why do independent business owners have to have someone else collecting their money and determining when they get paid. Why does it take 30 days+ to get paid when it used to be at the door when we did the inspection? If you have paid for the appraisal up front before it’s ordered then why can’t the appraiser be paid the moment he submits the report? I know when I do work for the consumer directly they pay me before I leave the site. Independent appraisers are subcontractors NOT employees. This system is broken. It needs to be fixed. Anything can happen. Maybe one day you will have to fork over money you already paid.